I love making jam. Most of all because it is something that my family, especially my husband, loves. I enjoy it too, on toast or using it in baking. Well, since I only recently discovered that he liked jam, I decided to give him a special present for the Three Kings’ Day. 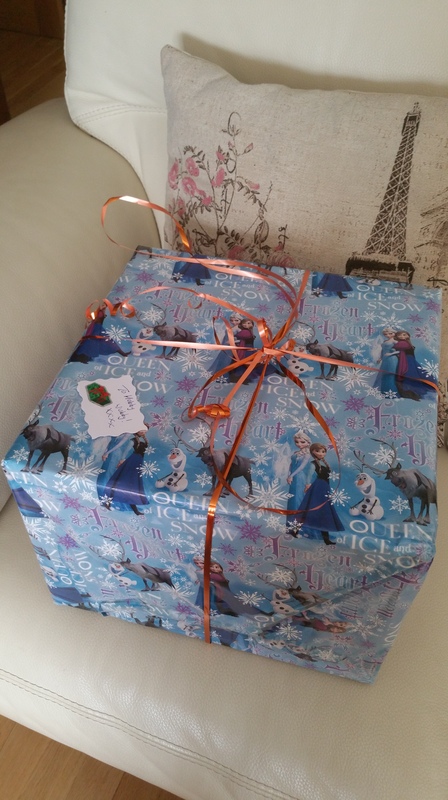 This is the day that people traditionally exchange presents in Spain and it is on the 6th of January. 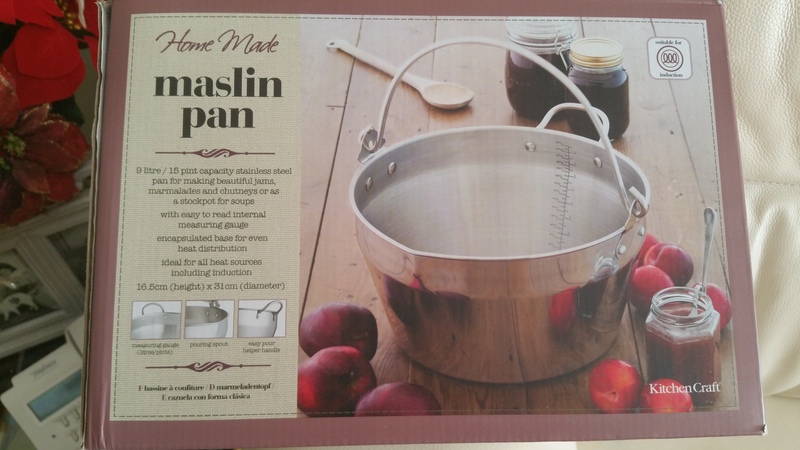 I decided to get him a jam making pot. Ok, I will admit it…I will end up actually using it but I bought it with him in mind! I like that it is a cookbook that is from 1970 that has recently (2011) been republished. It is considered a “classic” in England. 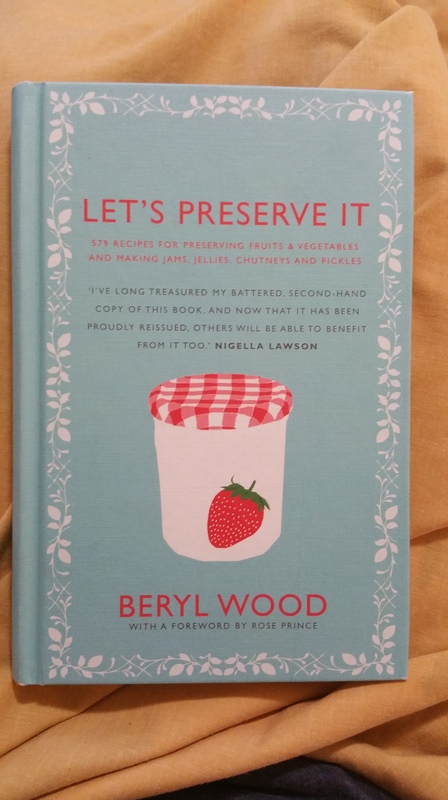 This week…I am going to test my pot..and a recipe from my “classic”! Can’t wait. No post of mine shouldn’t include a recipe so I have one for you. 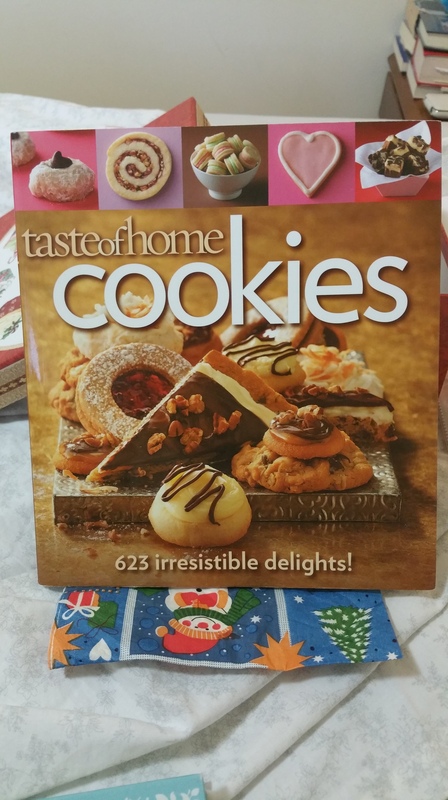 It is from the Taste of Home collection of recipes called, “Cookies”. 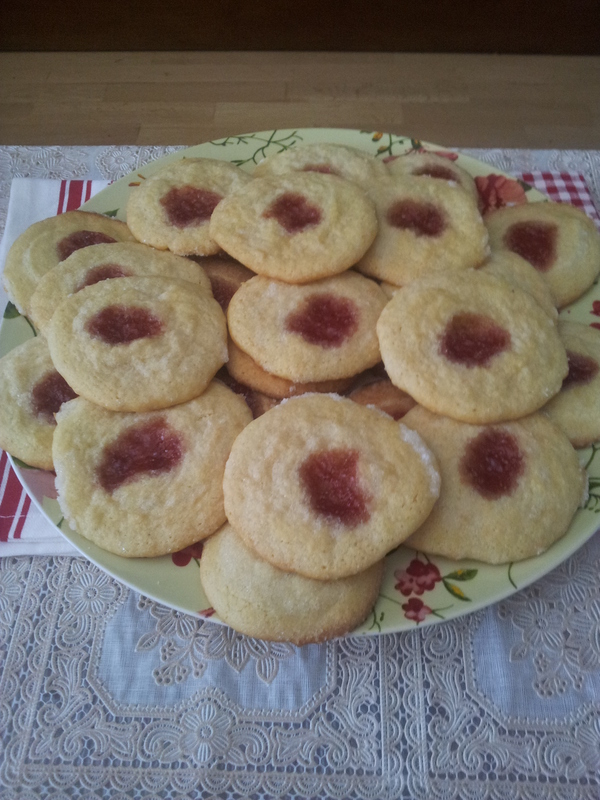 The recipe is called, “Jelly-topped sugar cookies” and I made the recipe using my own strawberry jam. You can use any jam or jelly you like! In a large bowl, beat sugar and oil until blended. Beat in eggs, extracts and lemon peel. Combine the flour, baking powder, and salt; gradually add to sugar mixture and mix well. Drop by rounded tablespoonfuls 2 in. apart onto ungreased baking sheets. Coat bottom of a glass with cooking spray [or lightly with sunflower oil], then dip in sugar. Flatten cookies with prepared glass, redipping in sugar as needed. Place 1/4 teaspoon jelly in the center of each cookie. Bake at 400° for 8-10 minutes or until set. Remove to wire racks to cool. About 36 cookies. * Make sure to space the cookies well on the baking sheet. These cookies really spread.